SMRT CEO Desmond Kuek is stepping down from the position, after more than five years in the role. 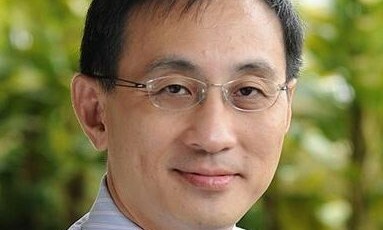 Civil servant Neo Kian Hong expected to replace him, SMRT confirmed. Neo is currently the permanent secretary for defence development, and was previously permanent secretary (education development) in the Ministry of Education from July 2013 to June 2017. He is also currently chairman of DSO National Laboratories and Defence Science and Technology Agency (DSTA). He also serves as a director on the board of ST Engineering. Before joining the civil service, Neo was a career officer with the Singapore Armed Forces for some three decades. Joining the SAF in 1983, he served as its chief of Army (2007 to 2010), and as its seventh chief of defence force (2010 to 2013), taking over from Kuek at the time. Similarly, Kuek served in the Singapore Armed Forces from 1982 to 2010 prior to his stint at SMRT, holding leadership positions such as chief of army in 2003 and chief of defence force in 2007. From 2010 to 2012, Kuek held the appointment of Permanent Secretary in the Ministry of the Environment and Water Resources, his LinkedIn read. Kuek also previously served on the boards of ST Engineering and its subsidiaries, Defence Science and Technology Agency, Housing and Development Board, Jurong Town Corporation and International Enterprise Singapore. With SMRT’s image taking a hit in the past year, with service disruptions and a PR storm after its trains collided, Kuek’s image as the CEO had often been thrust into the media spotlight. Seen as the face of the brand, CEOs are often in the frontline when it comes to public backlash and criticism in times of crisis. We ask industry players, how Neo can avoid the same pitfalls, given their route to the top has been so similar. In a conversation with Marketing, Andrew Crombie, founder of crombie.design, said this is an important appointment and one close to the masses given the recent press and public reaction to SMRT’s recent service shortfalls. He added that Neo is “clearly very well qualified” to manage a large and complex organisation where logistical excellence and execution is a fundamental KPI. The role is also one where even the smallest glitch present a PR challenge for the SMRT and the government. This is not the role for a proven logistician alone. Neo will need to also be quite a visionary, or at least surround himself and listen to people who are. The fix list: Where should the new CEO start? When asked about need to urgently be fixed to bring back love for the SMRT brand, Crombie said Neo would initially need to reconfirm SMRT’s commitment to excellence in execution across all services. This means need for “a few early wins to showcase his impact” which is fundamental. However, Neo’s larger role would be to create a vision for SMRT in the context of the emerging needs of the modern connected consumer and the rise of new technologies and concepts in mobility. “He must incite a crusade that not only presents an exciting future of public transportation in Singapore, but one that aligns all aspects of SMRT areas of business in the collective achievement of being leaders in the new world of mobility,” Crombie explained. In addition, as part of the modern accountability and connection between leaders and their stakeholders, Neo will also need to establish open and regular communications with the public. This is to report on progress, engage feedback, and to maintain the sense of excitement for his vision. That said, maintaining a skilled PR firm would still be good advice, Crombie explained. For Nick Foley, president of Southeast Asia Pacific and Japan at Landor, on top of ensuring the trains are kept running on time, the new leader needs to work on creating a positive brand experience for commuters on board its trains, buses and taxis. This includes ensuring all SMRT employees know what the brand stands for so they can be on brand. First steps include understanding the customer journey and knowing where are the points that can allow the brand to be truly amplified. Moreover, there also needs to be consideration on how SMRT can become more relevant to Singaporeans who regularly interact with the brand. This includes differentiating its experience from that its competitors (i.e. SBS North-East Line) in the eyes of commuters. SMRT has a good brand. It’s the brand experience that needs to improve. Most recently, SMRT vice-president for corporate communications Patrick Nathan left the company after six years with the organisation. Taking over from Nathan was Margaret Teo, previously head of corporate and marketing communications since August 2014. Coca-Cola has appointed iris as its experiential agency of record across Asia Pacific. iris could not be contacted for a comment a.. The group is in the midst of complying with relevant regulations to gain approval for its products for sale in these markets. ..